As a trucking business owner, you want to keep your workers safe. Your business depends on them, and if something goes wrong, it can be a big problem. Trucking can be dangerous, and an accident can happen any day. Not only it will interrupt your business, but you will have to pay for any work related injuries. That is why Workers Compensation is an essential type of insurance to protect your business, as well as your employees. Why Do You Need California Workers Compensation Insurance? To make sure your workers are safe and your budget is protected from unexpected losses, you need Workers Compensation coverage. It will pay for medical bills and lost wages if your worker is injured at work. It will help your worker recover without paying for it out of pocket. Your employee will be taken care of with this coverage and you will be able to get back to the normal schedule as soon as possible. Also, Workers’ Compensation Insurance is required by law in California. It pays no matter who is at fault in the accident. SafeLine Truck Insurance will be happy to help you with all your commercial truck insurance matters. We will assist you with building the policy that will protect your business. We offer coverage for all types of commercial trucks and trailers, as well as other commercial vehicles. From liability insurance to cargo insurance, we will take care of every coverage you need. 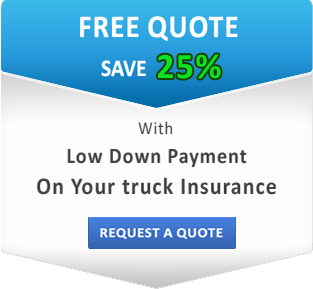 We have some of the best insurance prices in California and offer low down payments. No matter how many points you have on your license or how big your trucking business is, our agents will assist you with getting the coverage that will have your back in any situation. Get a free insurance quote from SafeLine today. We are looking forward to working with you!